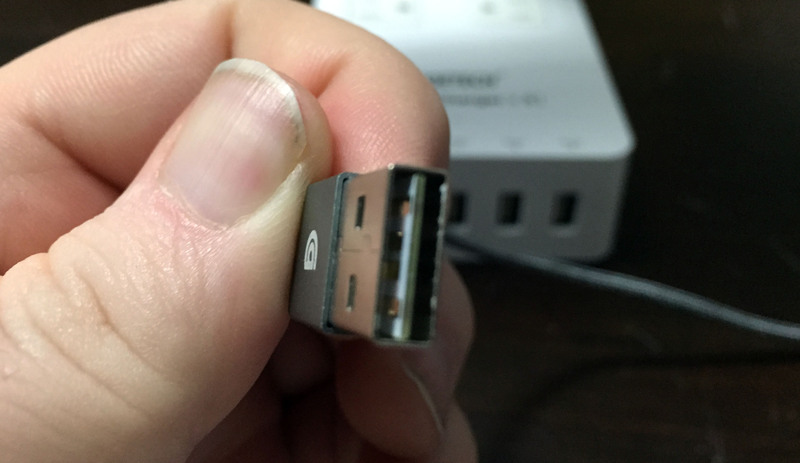 Today, I take a look at two USB products in the Choetech Surge protected 5-USB port charger, and the Griffin reversible USB to Lightning connector. Both are great products to have for your USB or iOS needs. Don’t you hate it when you can’t plug the USB cable in, so you think it’s backwards and flip it around only to find out the first way was right? Back in January, Griffin showed their solution to this problem in the reversible USB cable. Now, the cable is out and ready for use. I checked out the 5 foot cable – a braided nylon cable with a more protective jacket at the plug ends. I put it in a high-traffic room to see how it would fair. Whereas my standard iPad/iPhone cable looked very dirty and sticky after a few days in this area, the braided cable not only looked cleaner, the stiffer cable ran along the carpet line, staying out of the way of traffic. When I moved it from room to room, plugging in was a breeze. I knew no matter which way I was going to get it right, so I just plugged it in. The cable not only charged my device, it connected to my desktop without issue. 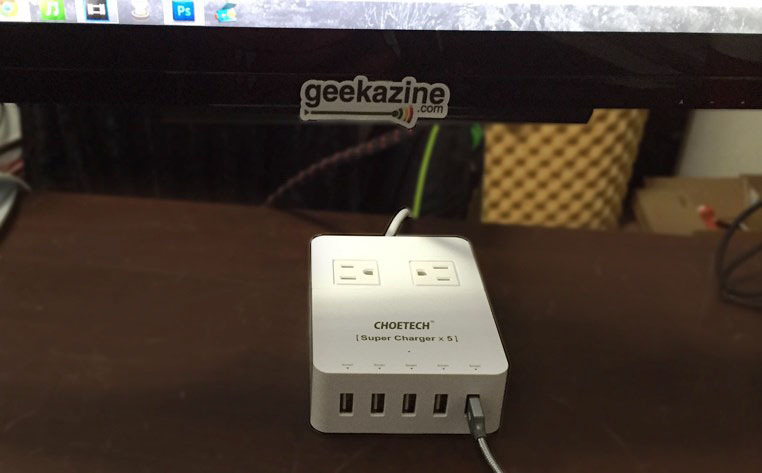 The Choetech Super Charger can charge a device with up to 8 Amps (if allowed), and up to 5 USB devices. This is also a surge protected device, although I don’t see a fuse or a trip switch on the box ( like a reset button we all play with from time to time). I opened it up to see how it worked inside. While I do not claim to know anything about electrical engineering, I didn’t see any fuse or MOV that could trip the charger. Still, this device is CE, FCC and ROHS compliant. Plugged in was my iPhone, iPad Gen 1, Nexus 5, GoPro, and the Samsung Galaxy S6 edge I just reviewed. This phone stated it could charge in an hour, and with this charger it did just that. The Nexus 5 was charging via my Qi charger, and all other devices were on their own cable. This is a great addition to my desktop charging system. I can put this between my monitors and even plug a light or other device in.